Record: Linda Wang, “Who Knows Best? The Appropriate Level of Judicial Scrutiny on Compulsory Education Laws Regarding Home Schooling” in Journal of Civil Rights and Economic Development, 25 (Winter 2011); 413-448. Summary: Wang, who earned her J.D. from St. John’s University School of Law, here seeks to make sense of the conflicting and hazy Constitutional principles at play in cases regarding homeschooling law and liberty. There are two basic issues. First is the 14th Amendment, which says that no state can deprive a person of life, liberty, or property without “due process of law.” This is the due process clause, which has been used in the ensuing decades to do all sorts of things, from extending the bill of rights to the states to protecting rights that are not explicitly mentioned in the Amendment itself, most notably the “right to privacy.” It is this right to privacy jurisprudence that is most important for homeschooling law. 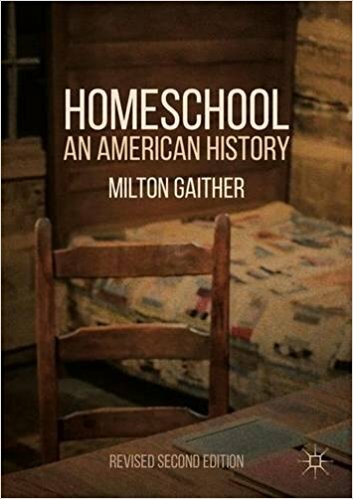 Interestingly, it was the cases on birth control and abortion (both of which many homeschoolers renounce) that secured the right to privacy on which constitutional claims for homeschooling rights rests. Cases like Meyer v. Nebraska, Pierce v. Society of Sisters, and Troxel v. Granville have made it clear that the right of a biological parent to direct the education of his or her child is fundamental, meaning that if a state is going to abridge that right it needs to have a compelling interest for doing so and must do so in the least invasive means possible. This is called strict scrutiny, and it is the highest threshold possible for government infringement of individual rights. This post reviews David Sehat, The Myth of American Religious Freedom (New York: Oxford University Press, 2011). Sehat is Assistant Professor of History at Georgia State University. Let me start off by saying that I absolutely loved this book. It’s my favorite kind of history. Sehat takes one idea and traces its history from the American founding to the present, giving his readers a deep understanding of the concept even as we are disabused of some common misperceptions along the way. The concept here is American religious freedom. The misperceptions are these. Liberals often speak as if from our founding the United States has been a secular nation and that Christian efforts to impose Christian morality on everyone else are out of step with this history. Conservatives often speak as if the United States has always been a Christian nation, and that Christianity is in fact the basis of the religious freedom we all hold so dear. Both are wrong.